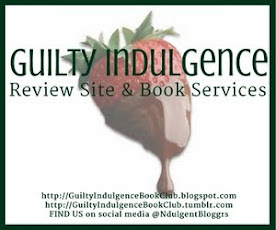 Guilty Indulgence: Yippie Skippie it's new Molly Harper! 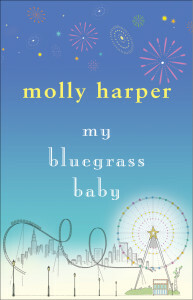 Yippie Skippie it's new Molly Harper! Nothing gets my day perked up like Molly Harper with Amanda Ronconi narrating! And thank you, thank you, she has finally released a new book and it is available on audible! There is simply nothing better then her brand of humor to brighten up the worst day. This time she expands on the subtle jokes that she makes about her home state of Kentucky in her main, Half Moon Hollow - Jane Jameson (Vampire), series. After multiple books where she casually pokes fun at some the attractions and strange people featured on many shows that we run into regularly on cable - Lizard Lick Towing and the Turtle Man - Live Action - are two that come to mind - it is fun to hear her take on what can be found in Kentucky. MY BLUEGRASS BABY (BOOK 1): Sadie Hutchins loves her job at the Kentucky Tourism Commission. She loves finding the unusual sites, hidden gems, and just-plain-odd tourist attractions of her home state. She’s a shoo-in for the director’s job when her boss retires at the end of the year…until hotshot Josh Vaughn shows up to challenge her for the position. Josh is all sophisticated polish while Sadie’s country comfort, and the two have very different ideas of what makes a good campaign. So when their boss pits them against each other in a winner-takes-all contest, they’re both willing to fight dirty if it means getting what they want. But it turns out, what Josh and Sadie want could be each other—and Josh’s kisses are the best Kentucky attraction Sadie’s found yet! This book is really cute. Sadie LOVES her state and thinks the more unusual the attraction the better it represents what Kentucky is all about. Josh is the total opposite, feeling that Sadie is out to make Kentucky look like a state full of freaks. As they clash it becomes increasingly obvious that the real problem is the building sexual tension between them, to the point where the office staff starts placing bets on when "Secret Naked Fun Time" is going to commence. But as they are forced to recognize the chemistry they have between them they also must recognize that they are competing for the same job - and they can't have both - or can they? This is a really great read. I won't say it is my favorite of hers but still - it was cute and well done. It was a nice contemporary read if you aren't into the paranormal and want a light hearted, fun tale. Happy Reading!